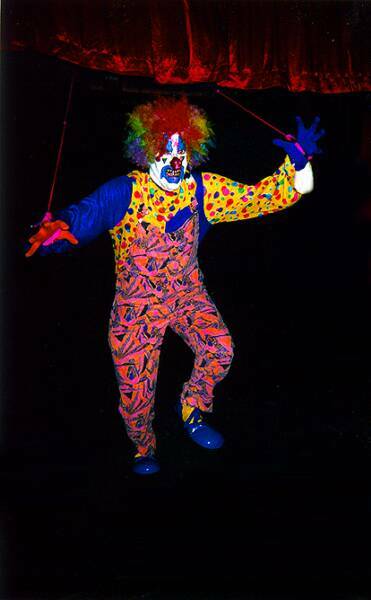 SCARY CLOWN CAN BE SEEN PERFORMING HIS MAYHEM AS VARIOUS HAUNTED ATTRACTIONS THROUGHOUT THE U.S. SCARY CLOWN REMAINS A MYSTERIOUS CHARACTER. 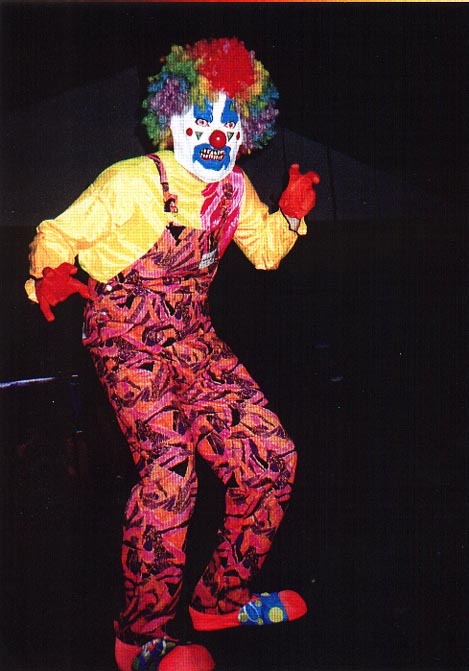 HE HAS APPEARED AT SOUTHERN CALIFORNIA HAUNTED ATTRACTIONS, INCLUDING THE LEGENDARY AND NOW DEFUNCT SPOOKY HOUSE HAUNTED THEME PARK, FANTOM FRIGHT, AND FRIGHT FAIR. NEVER TO HEAR A BEEP FROM HIM, THIS SCARY FELLOW TRIES TO LURE THE UNSUSPECTING IN FOR A CLOSER LOOK. EXTENDING HIS HAND AS A GOODWILL GESTURE, HE'S EAGER FOR YOUR FRIENDSHIP. DON'T GET TOO CLOSE OR YOU WILL LEARN HIS "BLAST IS WORSE THAN HIS BITE"! CURRENTLY THE SCARY ONE IS PUTTNG THE FRIGHT INTO THOSE WHO LIVE IN THE STATE OF KANSAS!